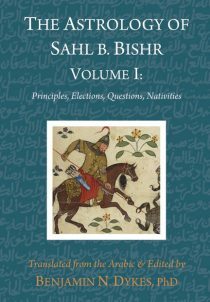 Sahl bin Bishr and Masha’allah were key early figures in medieval astrology (ca. 750-850 AD) as it transitioned from the Greek and Persian period into the Arabic-Latin period. 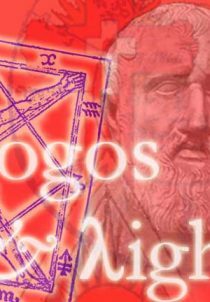 Much of what we recognize as medieval astrology comes directly from the works translated here! 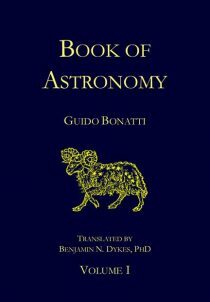 Later astrologers, including Guido Bonatti, were inspired by and liberally borrowed from Sahl’s and Masha’allah’s works on basic principles and judgments, horary, elections, predictive techniques, nativities, and mundane astrology. 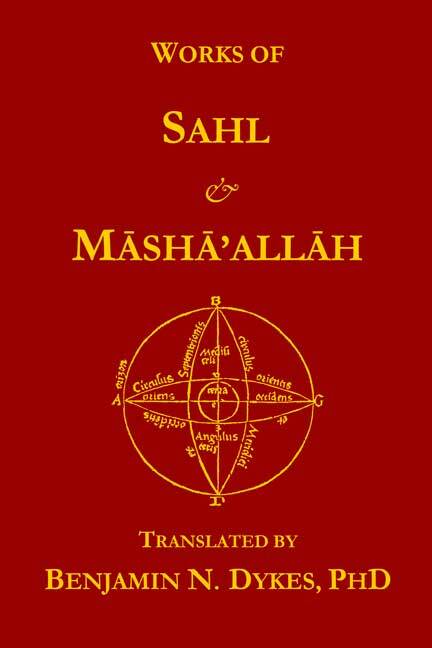 In this book you will be able to compare the horary methods of Sahl and Masha’allah, learn elections and mundane astrology from these early medieval masters, study unusual techniques on finding hidden objects or discovering a client’s intention, learn the relation between detriment and corruption, see connections between Dorotheus and Sahl, and much more. 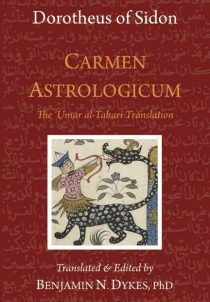 It is a critical text for all students of traditional astrology. This 70-page introduction by Benjamin Dykes contains short essays on numerous topics: five relations to domiciles, twelfth-parts, whole-signs, reliance on Dorotheus, consultation charts, and more. 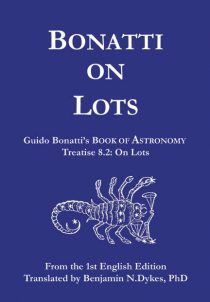 An introduction to astrological principles, with important definitions of planetary combinations. 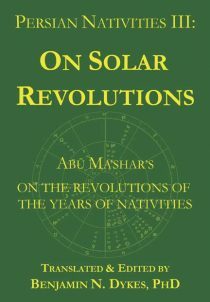 Fifty aphorisms on judging such matters as sect, retrogradation and stations, benefics and malefics, and more. 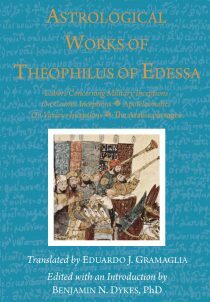 A classic work on elections, drawing on Dorotheus. Comprehensive horary treatments on all matters. Collection of numerous predictive techniques, both general and topic-specific. 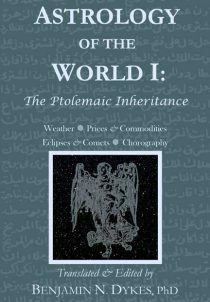 An astronomical work covering the elements, planetary orbs, eclipses and weather. 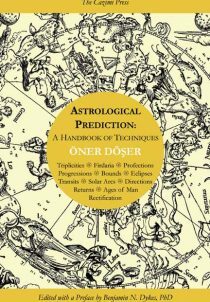 Also known as the “Letter on Eclipses,” this work introduces basic concepts in mundane astrology. A work on weather prediction. A lengthy work on interpreting ingress charts and eclipses, both for political events and weather. 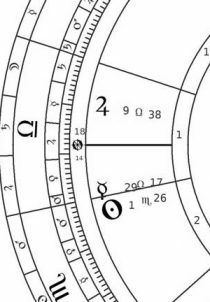 Intriguing lists of planetary positions in the signs, houses, and the bounds, including a use of planetary periods for prediction. IAn introduction to life-expectancy predictions and quality of life delineations. 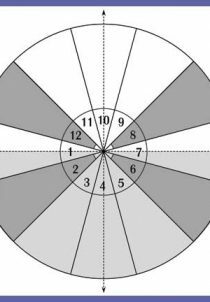 A work based on “consultation charts,” finding significators for the purpose and outcome of horary consultations. A collection of techniques for finding hidden and lost objects. 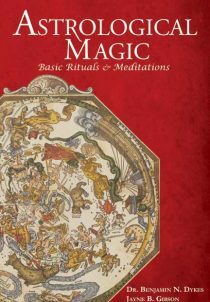 A lengthy, classic work on horary technique and the value of reception. Delineations for the planets in each others’ domiciles.